sorry that i didn't reply to it for a while, I've been thinking about it but haven't looked into the API so far. The real hangup is whether it's possible to have the face generate on the tree at a specific position, since the tree is a functional mechanic after all, and I'm interested in carrying this over to a dynamic trees variant if possible. Towards the end of the semester I'm a bit busy and I recently started up a bit of a project with maintaining Embers, so it might be a little bit longer before I can move to this. That's entirely fine, i'm glad to see there's interest in it though. Thanks! This has probably been asked before, but is it possible to get a version that doesn't rely on Better With Mods? Frankly, I hate most of the changes that Better With Mods makes, and I only really wanted this for the Japanese Architecture and Weapons mod, and I haven't found any good alternatives. As this is an archive of old mods, it's unlikely that you'll take up Eriottosan's mod as a stand alone, but if I could use it without Better With Mods, that would be greatly appreciated. I think this will inevitably happen, atleast for the Japanese Culture addon and World Scales (which really need a lot of improvements) I will think about how I can best do this. Well, I wish you luck with it then. If you do plan to improve on the Japanese Culture addon with a standalone version, I have a few possibilities for additions. Mainly roof tiles. I know this is a bit extensive, but could the alicio trees possibly get dynamic trees compatability? have a render crash when we have rotten food enabled. Sorry if this is the wrong place i;m pretty new to this. I've tried numerous forge versions but the one we have now is 2673. I also tracked the bug down to people who join me on lan. I seem to be immune, but anyone that hovers over a food while joining me crashes with the render error. I crashed as well but only once when i hovered over a fish. thanks a lot for the reply I love that you added this mechanic. Once we get the bug ironed out i was going to try to minetweak a way to make preservatives or canning jars! See if that hotfix works for you. It's a strange issue. that seems to have done it! thanks so much for your hard work. i really appreciate it! can u make it so we can smoke the hemp? so we can get high and role joints and smoke bongs? This mod disables ore smelting in kiln, can't find anything related in configs. Any way to revert this? Okay, sorry. Completely my fault. 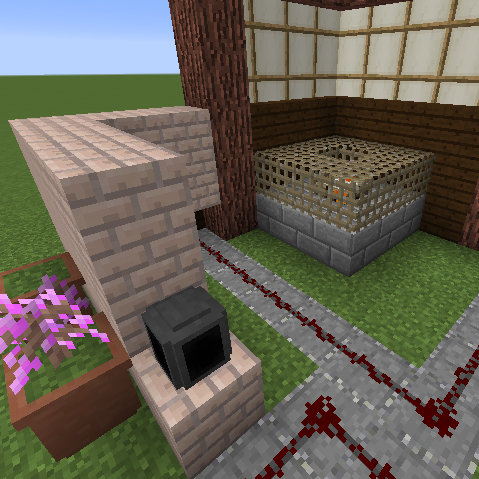 Apparently, if you remove smelting ores in furnace with modtweaker it removes it from kiln too. Is it intended that watermills do not work IN aqueducts? Current nr2 biggest complaint about aqueducts, I can fix this but I have to add something to BWM to do it. I'll get to it soon. How do I confirm that Worldscale ore is spawning in my worlds? Worldstripper and Scannable were no help.